Our dream for Robert and Mary’s Place is a big one. Please help us realize this dream by making a tax deductible donation. 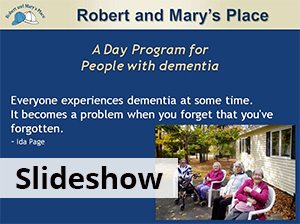 Every donation, large or small, helps us expand our work to those seniors with memory loss who need it most. 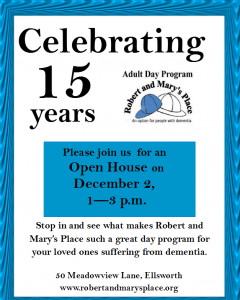 Robert and Mary’s Place is a 501(c)3 non-profit organization. Click here to download our 501 (c) 3 letter. If this donation is in memory or honor of someone, please tell us more below.